Sentiment for property counters is improving after a two-year lag in the sector’s share price performances with Kenanga Research reversing its call from “neutral” to “buy” for the sector. Kenanga is among the first research houses to reverse the call after a two-year doldrum faced by the sector, which was largely triggered by the banning of the developers interest bearing scheme in January 2014. Kenanga Investment Bank Bhd equity research head Sarah Lim said in her research report Property Developers: When Sentiment Trumps Fundamentals that the property sector has “found a bottom”. She premised this on the improvements in the one month residential loans applied and approved despite a high loan deposit ratio of 89.8%. “Our industry survey indicates that banking liquidity to the (property) sector remains challenging, although some industry players have cited that ‘quality buyers’ are emerging, which improves the odds of loans approved,” Lim said in her report. Lim also expected healthier headline sales but this might not be evident across the board as only a couple of counters were expected to show significant sales growth while others are expected to “remain mainly flattish”. Only developers with a lower sales base or the “right” product are positioned to see growth while others are likely to see flattish sales trends, she said. Lim based her report largely on the residential segment of the property sector as it is the biggest driver of the property market. The industrial and commercial – which include office, hotel and retail space – segments are the other significant sub-segments of the property market. 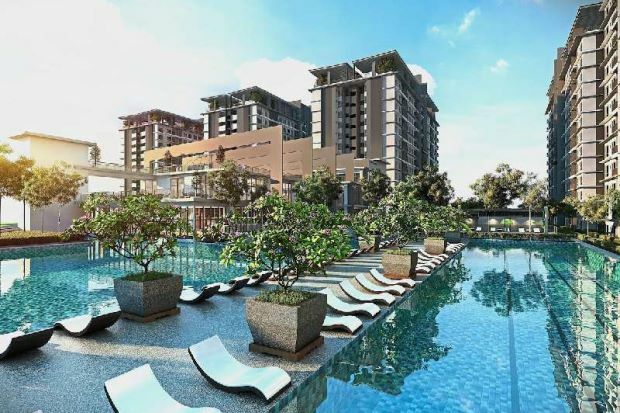 Because sales growth would not be seen across the board, Lim said overall earnings were likely to be unexciting over 2017 and 2018 for most developers, due mainly to the soft market for 2015 and 2016. While Lim expected overall Malaysia residential sales to remain flat, what is important, she said, is that the odds of developers missing their sales targets are less likely this year. In the last two years, even the big boys were hard pressed to meet their sales targets, previous press reports and Bursa Malaysia reports showed. “This year, we may see (some) developers exceeding sales targets, a welcome after the lull in 2015 and 2016. At this juncture, it is too early to say which developers will positively surprise. “The critical check-point is if developers can strongly deliver sales in the first half of 2017. So we are making no revisions to our developers’ sales assumptions or estimates for now.” The light at the end of the tunnel will lead to land-banking among some developers but this is expected to be “patchy”, she said. “They may go for outright acquisition or enter into joint-ventures,” she said.